PPC has concluded an agreement to source waste tyres from the Recycling and Economic Development Initiative of South Africa (Redisa) for use at its De Hoek cement plant in Piketburg, Westerm Cape. 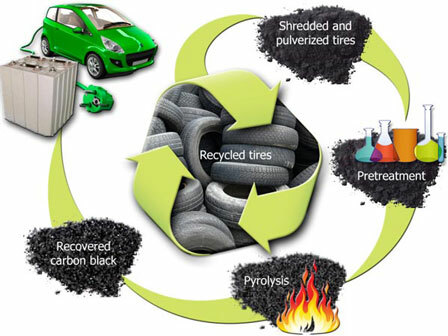 PPC is also investigating the possibility of using waste tyres in some of its other plants, according to Azola Lowan, the executive for investor relations and strategy. Redisa is the only waste tyre management plan approved by the Department of Water and Environmental Affairs and is involved in the collection and processing of waste tyres. Lowan said that the use of the waste tyres in the kilns at the De Hoek plant would be introduced from the middle of 2015 and indications were that the tyres could replace 10% of its coal usage. Lowan also confirmed there was a cost benefit from using the waste tyres instead of coal and a carbon advantage because of the reduced use of coal. Some investment was required in the feeder system to use waste tyres, which meant this initiative would only generate a return over a few years. Lowan stressed this was one of several environmental and alternative energy initiatives being undertaken by PPC to ensure that PPC is compliant with environmental legislation and regulations by 2020. PPC has already commissioned the use of carbonaceous spent pot liner, a waste material from the aluminium industry, at its Dwaalboom cement plant in Limpopo. “We basically get paid to use that product and again it replaces about 5% of the coal,” Lowan said. She added that PPC was also doing a feasibility study on a waste heat recovery (WHR) system at its Dwaalboom plant. PPC also has an agreement with Innowind, which is constructing a 60MW wind farm in the Eastern Cape to provide electricity to PPC’s Grassridge quarry.